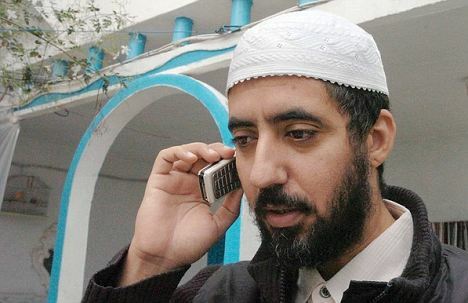 "Controversial Muslim cleric caught being smuggled into U.S. over Mexico border"
This morning I was contacted by a staffer for Greg Ball, a member of the New York State. Sen. Greg Ball was elected to the New York State Senate this past November and was appointed to chair the New York State’s Homeland Security Committee. I have worked with him for the past several years on issues concerning immigration when he was a member of the New York State Assembly and consequently he decided to have his staffer contact me this morning about the news report that was published yesterday, January 28th, in a British newspaper, the Mail Online, about how a Tunisian national by the name of Sai Jaziri was found being smuggled in the trunk of a car crossing the border that is supposed to separate the United States from Mexico. Greg wanted me to provide him with my perspectives on this case for a press release to be issued by his office later today. Needless to say, I was happy to provide my perspectives to him and I have decided to provide you with that British newspaper’s article and my perspectives on this important news report. to the safety of our nation. safety and security of our nation and our citizens. officers were dead and three others were wounded. Kansi is not the first terrorist to commit fraud in his applications for an immigration benefit or for a visa. In fact, the 9/11 Commission noted that of 94 terrorists who were identified as operating in our country in the decade prior to the attacks of September 11, 2001 roughly two thirds of them (59) were found to have made use of visa fraud and/or immigration benefit fraud in order to enter our country and embed themselves in communities across our nation. Here is a recent example of such a fraud that was successfully carried out by an illegal alien in our country. private financial gain, announced Assistant Attorney General Lanny A. Enforcement (ICE) Assistant Secretary John Morton. smuggling network that spans East Africa, Central and South America. Stop and give some thought to the statement that he purportedly ran our border on March 20, 2008 and then applied for political asylum on September 30, 2008, over six months after he allegedly ran the border, and in under six weeks his application for political asylum was approved! He claimed he was facing prosecution on the other side of the planet yet the government rushed to provide him with political asylum! This “rush to judgement” rewarded him with political asylum even though he completely falsified all of the significant relevant facts! 1. There was no mention of Fessahazion being charged with committing fraud in has application for political asylum. 2. There was no mention of any efforts being made to locate and/or apprehend the illegal aliens he helped to smuggle into the United States. malevolent to game the system. There have been a succession of reports that followed investigations by the Office of the Inspector General and the General Accountability Office into the lack of integrity in the immigration benefits program and the visa process. Clearly Mr. Jaziri did nothing unique in attempting to game France’s immigration system. 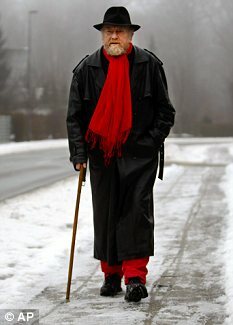 However, France actually did something about it- according to the news report, the French government successfully prosecuted him for committing fraud in their country and then expelled him whereupon he apparently showed up in Canada, only to evoke the ire of the Canadian government which resulted in his being expelled from Canada. The only question is, what was that mission? While he was caught near the border, it is to be presumed that he ultimately intended to head for a city somewhere well beyond the border of our country- potentially putting all of our citizens at risk. stand than can a house without walls! curled up in the boot. refugee application about having served jail time in France. published in a Danish newspaper in 2006.
a claim Canadian authorities deny. Mexico-Belize border, where he took a bus to Tijuana. violation of law for the purpose of private financial gain. States,” said Assistant Attorney General Lanny A. Breuer. network that spans East Africa, Central and South America. Fessahazion illegally entered the United States at McAllen, Texas, on March 20, 2008. African aliens to the United States. to a smuggler who brought the aliens into the United States. Once in contact, Fessahazion sent a driver to pick up the two aliens and bring them to Guatemala City, Guatemala. In another example, an alien was moved from Dubai to Brazil, then to Honduras via Colombia and Costa Rica. at which point others would assist the alien each step of the way to the United States in a “chain like” fashion. The alien then traveled into Mexico, contacted “Matamoros” and traveled to Reynosa as “Matamoros” instructed. Shortly after crossing the border into the United States, the alien and others were apprehended. At sentencing, scheduled for June 14, 2010, Fessahazion faces a maximum penalty of 10 years in prison and a $250,000 fine. 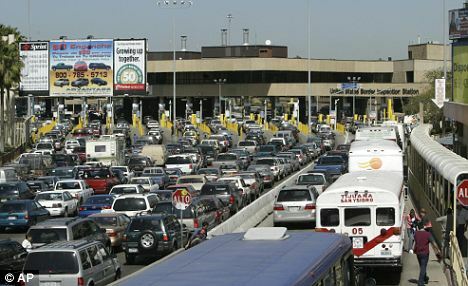 Author TonyPosted on January 31, 2011 January 31, 2011 Leave a comment on "Controversial Muslim cleric caught being smuggled into U.S. over Mexico border"